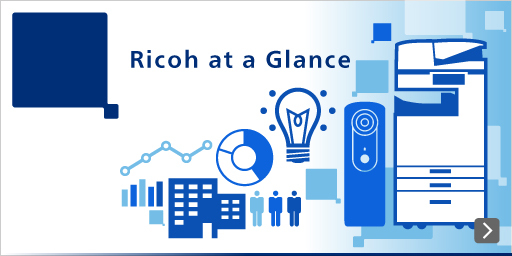 The Ricoh Group sees intellectual property, the fruits of technical development, as an important management asset. We work to acquire and exploit intellectual property to develop and protect our business, while encouraging the creation of valuable intellectual property based on a business strategy and a technological strategy. 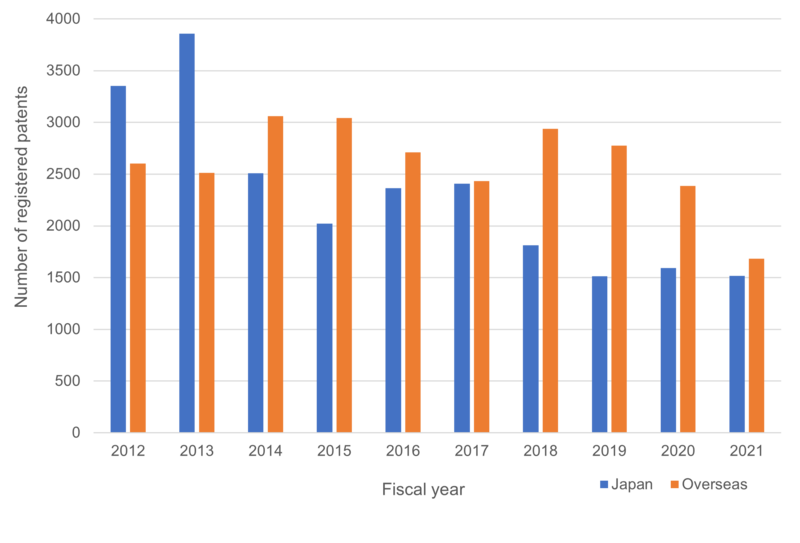 In recent years, Ricoh has increased the number of foreign patent applications while maintaining its position in the top ten applicants for Japanese patents. 2,408 patent applications were published in Japan in 2017. For the number of maintained patent rights, Ricoh has more than 24,000 patents in Japan and 26,000 or more patents overseas, 50,413 patents in total (Table 1) at the end of March, 2018. We have been actively continuing to acquire patents worldwide in accordance with business and technological strategies, such as reinforcing our position in our core business domain, globalizing our business through deployment in emerging markets, and expanding our business domain through new business (Figure 1). Furthermore, we are conducting a review of maintained patent rights by assessing future market and business conditions and determining whether to abandon any unnecessary patent rights. Ricoh’s intellectual property activities began with a camera patent application in 1947. The patent management section was first organized in 1958 when the first person dedicated to patents was assigned. The intellectual property department has then expanded and strengthened as Ricoh business grew exponentially over the intervening decades. Our Intellectual Property Division comprises the Intellectual Property Development Center and　the Intellectual Property Strategy Center. These departments are respectively tasked with patent prosecution, external affairs and licensing. The Intellectual Property Development Center with a staff of about 100 has several sections for handling the intellectual property needs of business and R&D divisions. Intellectual property workers keep close contact with their colleagues in research and development so as to apply for patents and establish rights as soon as possible. To acquire valuable intellectual property suitable for individual markets timely and speedily, we have staffed an intellectual property organization in major R&D centers. By doing so, we have the capability to carry out on-site based intellectual property activities with no time lag. We continually provide various incentive schemes to encourage inventors for the long term, focusing on high quality intellectual property creation and patent acquisition. Moreover, to improve intellectual property skills in technical divisions, we work to raise the level of the overall intellectual property ability, implementing intellectual property education suited to engineers' years of experience, assigning experienced persons to lecture on intellectual property. We have prepared training programs for persons tasked with intellectual property activities. Examples are an educational system for persons newly assigned to intellectual property work, and an OJT (On-the-Job Training) program to improve individual intellectual property skills. Beyond our short-term residence system to overseas patent office and a long-term foreign posting system to overseas Ricoh offices, we also provide the opportunity to apply and prosecute patents through direct communication with overseas lawyers. The purpose is to improve global intellectual property skills. In the Intellectual Property Division, we also collect, coordinate, analyze, and process massive intellectual property data efficiently and quickly, and then combine that information with other data besides intellectual property. Ultimately, the comprehensive information is used to formulate intellectual property strategies and proposals to business divisions or managements, aiming at maximizing the value of intellectual property. Concentrating all intellectual property activities for the purpose of “contribution to business,” we continue to aim at building a more efficient and enhanced intellectual property system.